This dog is living his best life. 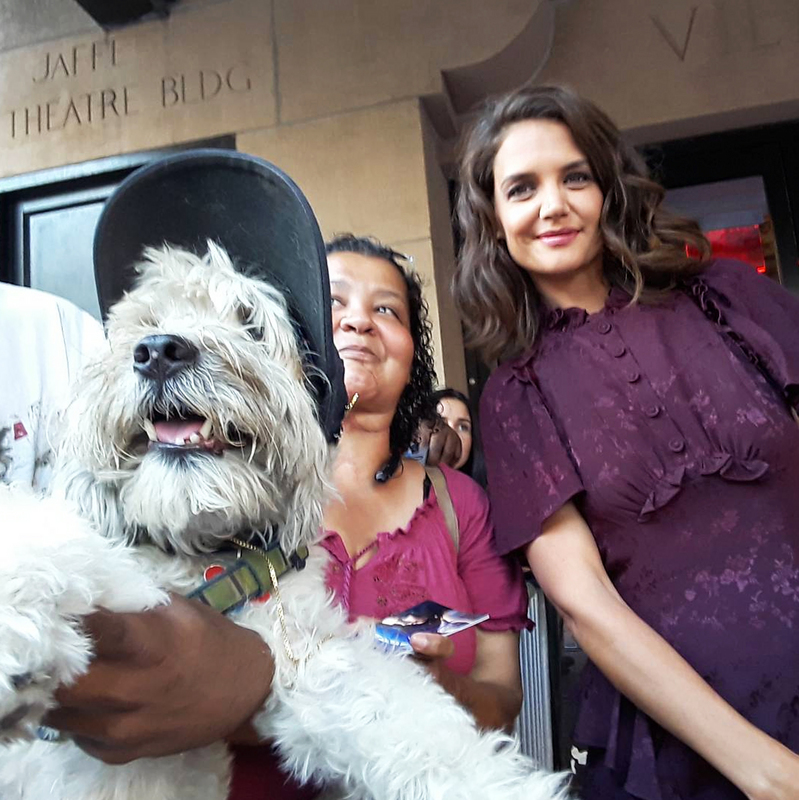 Coqui, a shaggy Maltipoo, has hundreds of selfies with various celebrities — not to mention more than 10,000 followers on Instagram! The pooch, who is known around New York City as the “skateboarding dog,” often poses for pictures while wearing a Yankees baseball cap and Converse sneakers. His Instagram boasts pics with David Arquette, Tyler Perry, Jason Alexander, True Blood’s Stephen Moyer, Joel McHale, Whitney Cummings, Joely Fisher, Anne Heche, Dave Franco, Maury Povich, Tate Donovan, LeAnn Rimes and James Belushi — just to name a few! Coqui’s owner brings him along to film shoots all over New York City, where he gets to get up close and personal with Hollywood stars. The pup appears to be a fan of ’90s shows, because his account shared selfies with Full House’s Cameron Candace Bure, Jodie Sweetin, Dave Coulier and Bob Saget, as well as Beverly Hills, 90210’s Ian Ziering and Dawson Creek’s James Van Der Beek and Katie Holmes. The canine with street cred seems to makes friends everywhere he goes, whether it’s taking pics with people dressed as mermaids at the Poseidon parade, modeling in front of artwork or posing with pals in Times Square. You can follow the adorable pooch on Instagram — his handle is @nyyankeedog.